Central Asia’s nomads are rightly famous for the beauty and craft of their great weavings, the carpets and animal trappings that form the basis of many museum collections. Their appreciation of colour and pattern, however, extended down to the smallest everyday objects. 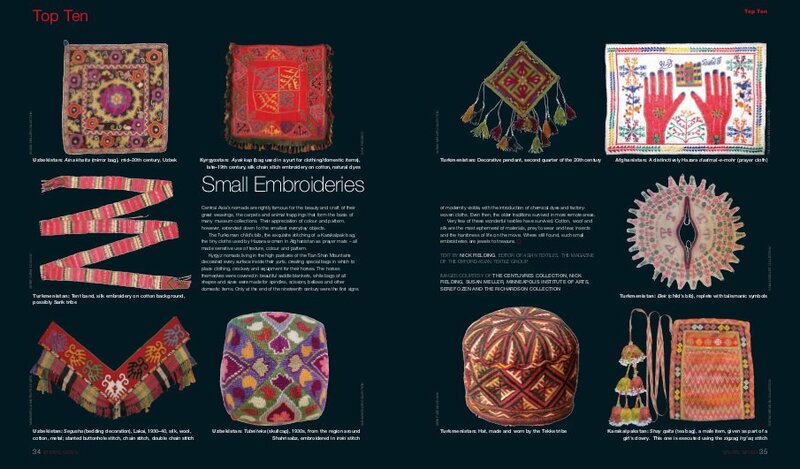 The Turkoman child’s bib, the exquisite stitching of a Karakalpak bag, the tiny cloths used by Hazara women in Afghanistan as prayer mats – all made sensitive use of texture, colour and pattern. Kyrgyz nomads living in the high pastures of the Tian Shan Mountains decorated every surface inside their yurts, creating special bags in which to place clothing, crockery and equipment for their horses. The horses themselves were covered in beautiful saddle blankets, while bags of all shapes and sizes were made for spindles, scissors, bellows and other domestic items. Only at the end of the nineteenth century were the first signs of modernity visible, with the introduction of chemical dyes and factory-woven cloths. 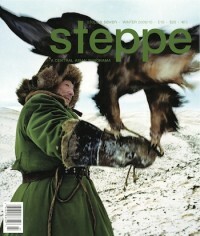 Even then, the older traditions survived in more remote areas. Very few of these wonderful textiles have survived. Cotton, wool and silk are the most ephemeral of materials, prey to wear and tear, insects and the harshness of life on the move. Where still found, such small embroideries are jewels to treasure.